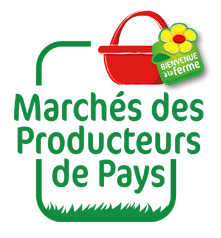 The “Marchés des Producteurs de Pays” (Farmers Markets) guarantee produce goes directly from the producer to the consumer, with the added bonus of a friendly welcome. 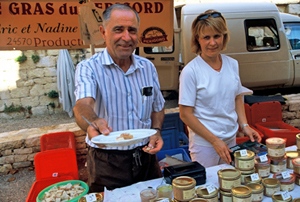 Reserved exclusively for farm producers or artisans, Marchés des Producteurs de Pays are warm-hearted and lively places that promote the richness and the diversity of our home produce. Every Wednesday evening from 2nd July to 27th August. On the shady square, protected by the big trees. Music bands. Every Friday evening from 6pm, from 15th July to 26th August, in the village square. Relocation possible in case of rain. Live music. Every Monday morning from 9am to 1pm, from mid-June to mid-September, parking la Balme. 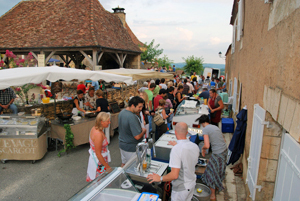 Every Wednesday evening at the bottom of one of the most prestigious castles of Périgord, at the heart of the village, festive market with food stalls from 7th July, 6th and 1st September. Every Tuesday evening from 7pm, under the market hall, from 5th July to 30th August. 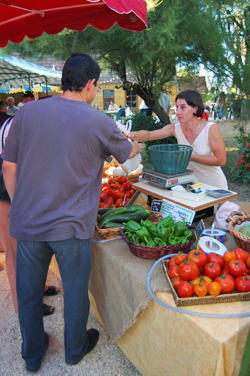 Market customers can cook their own meals; barbecues are provided. Live music and local cultural show. Every Friday from 7pm, town hall square on 22th, 29th July and 5th and 12th August. Open-Air dancing, live music. Play park for children close to the stalls. Possibility to book food baskets. Delivery possible. Market customers can cook their own meals. In case of bad weather, covered catering area. Live music. Sunday 24 August from 9am to 5pm. Every Thursday from 6.30pm, town hall square, from 7th July to 1st September. Live music on 31st July. - Every Sunday morning from 9am, on the Church Square from 3rd July to 28th August. 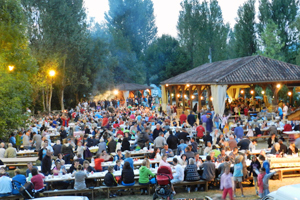 - 3rd August, Village fair and festive meal. Every Thursday morning from 9am, on the Church Square, from 30th June to 25th September. From 6.30pm on Friday 18th July. From 7pm, place des Cornières every Saturday from 26th July to 9th August. Festive Market with catering on Saturday 10th May from 9am to 6pm and Sunday 17th August from 9am to 4pm. Every Tuesday morning from 8am to 12pm, Place de la Liberté from 29th April to 21st October. Every Wednesday evening from 6pm on19th, 20th July, 3rd and 10th August. Every Monday morning from 9am, Rue de la République from mid-June to mid-September. Every Tuesday from 6pm, from 5th July to 30th August, Place du Séchoir. 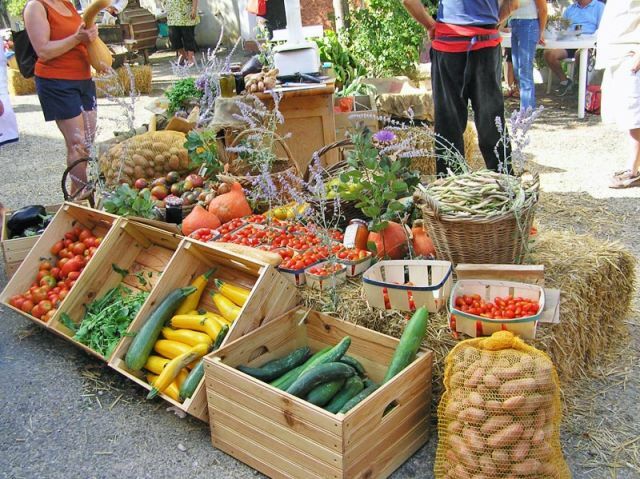 Exceptional markets on 29th and 30th October "Aux saveurs de l'Automne" (Autumn flavours): walnut, apple, chestnut and truffle. Monday 28th July from 6.30pm. Sunday 18th May from 9h30am for the event "La Fleur dans tous ses états" (flower festival). Live music, various workshops, etc. From 6.30pm on Friday 5th August. From 6.30pm on Friday 19th August. From 6.30pm on Friday 25th July. Loire Autumn event, Sunday 19th October. - Every Tuesday morning from 9am to 12.30pm, from 15th April to 16th September. Every Friday from 5pm, on the village square from 4th July to 29th August. 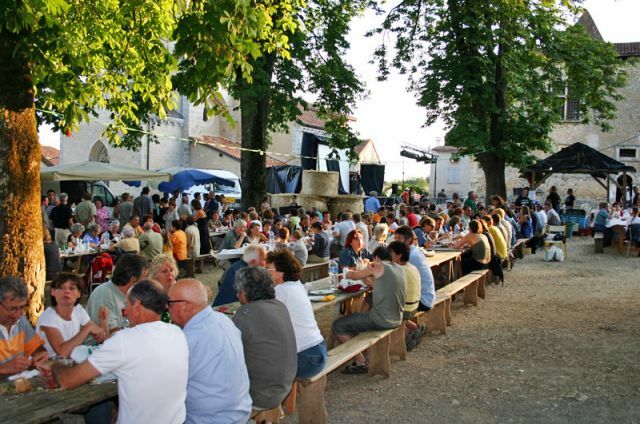 Live music and free aperitif on the village square, "dégustades salignacoises"
From 6.30pm, Friday 5th August. - Festive market with catering on the covered market hall. Lunchtime from 8th July to 19th August followed by a free visit to the farms. - Beginning of August, Place Foch. 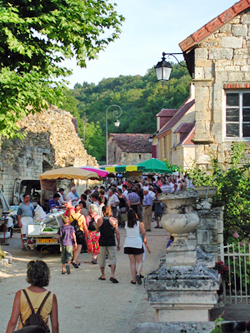 Weekly night event: Grotte de Tourtoirac, one of the biggest sites of the Périgord, Festive market with catering. Every Tuesday evening from 7pm, 5th July to 30th August. Saturday 24th May from 6pm, organised by the students of the “Maison Familiale et Rurale” (Young Training centre). Thursday from 6.30pm on 31st July 7th and 14th August. Live music, food stalls (bring your own utensils). Sunday 20th July, Saint’s Feast Day from 5pm.